(Bass Instruction). 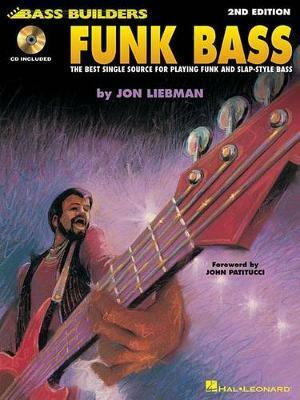 This title has been critically acclaimed as the best single source for the techniques used to play funk and slap-style bass! This new second edition only gets better with a new recording, more instruction, and a fresh layout. Includes a foreword by John Patitucci and is endorsed by Rich Appleman of the Berklee College of Music, Will Lee, Mark Egan, Stuart Hamm and many others! Features several photos and a special section on equipment and effects. A book for everyone from beginners to advanced players! Includes a 58-minute online audio accompaniment.